Peacock Teal Blue dupioni silk fabric like the body of a peacock! Brand New High-End Dupioni Silk Fabric Yardage. 45 inches wide. Shipped so quickly! Thank you so much! This is such a beautiful color, I love it! 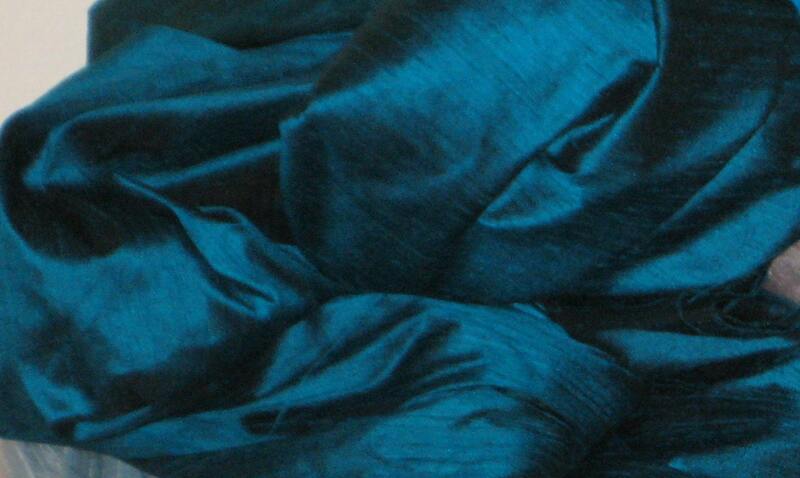 beautiful silk fabric and delivered very quickly after the order. will order again. The silk is exceptional! Such a lovely color! Thank you for all the help and extremely quick shipping! Will certainly purchase from this store again and would highly recommend.